MQG - Satin Finish Rope Diamond Grooved Wedding Ring A fusion of alternative precious metals, dazzling diamonds, and the latest jewellery design techniques, this Satin Finish Rope Diamond Grooved Wedding Ring was made for modern brides and grooms. 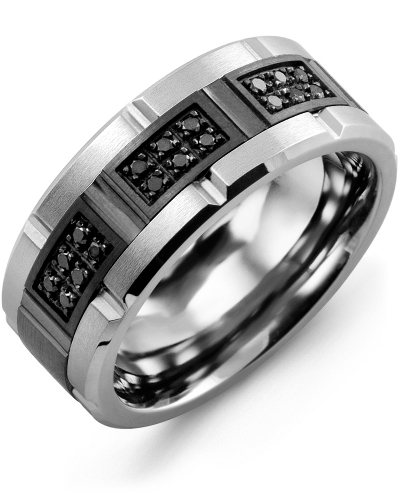 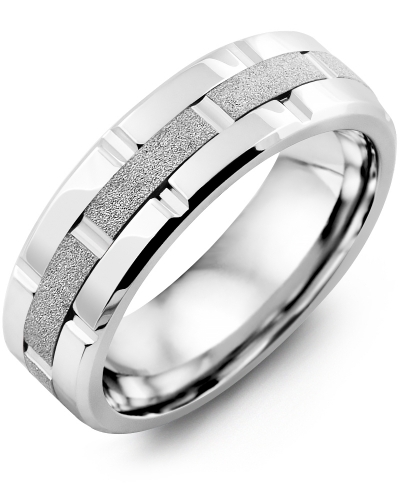 Available as a tungsten ring, cobalt ring or ceramic ring, it features a shimmering gold insert, and a 0.05ct diamond centrepiece to add just a hint of sophisticated sparkle. 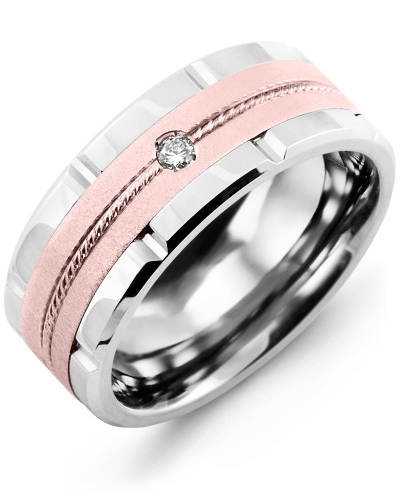 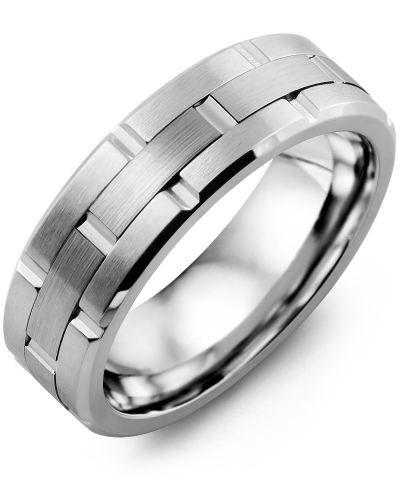 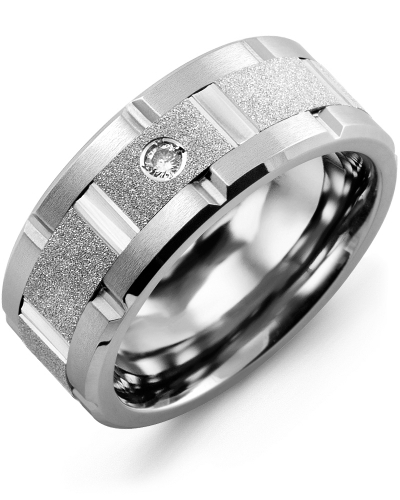 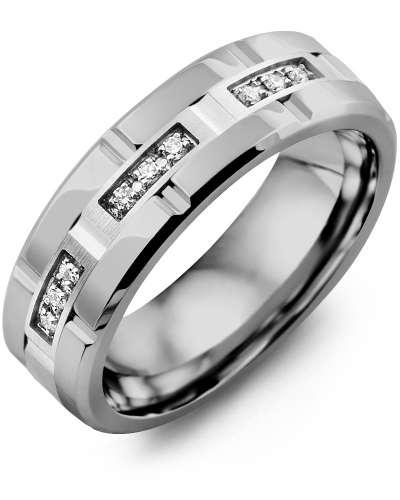 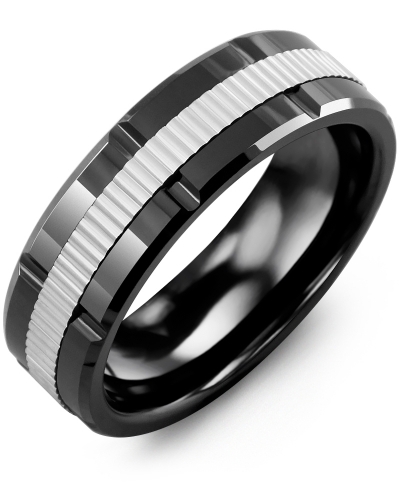 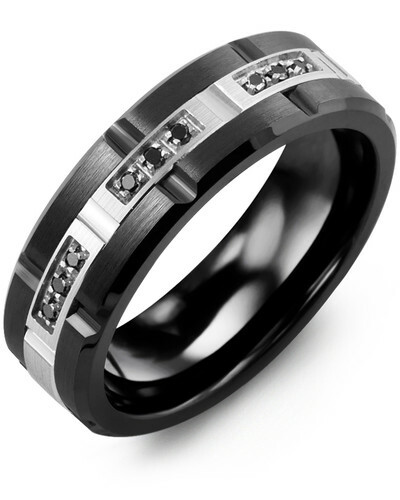 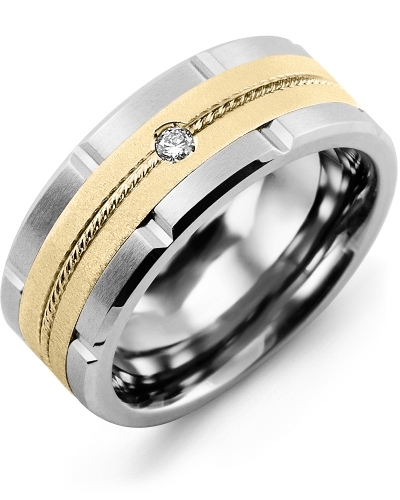 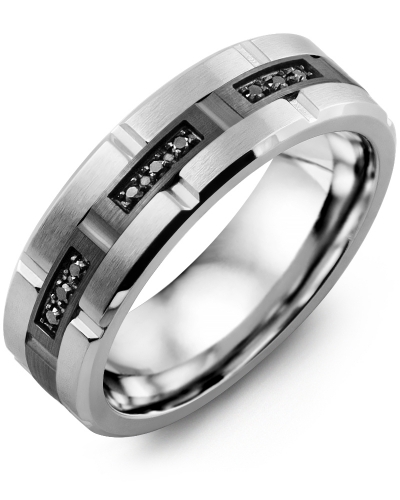 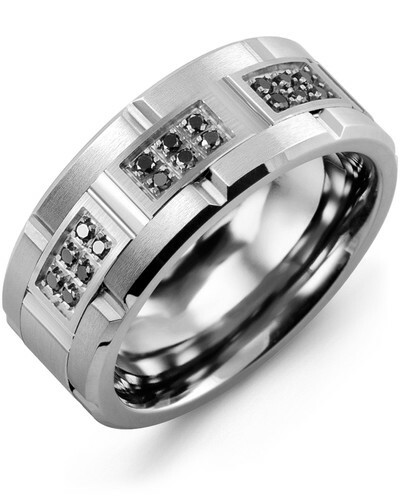 The insert is offered in white, yellow and rose gold, and 10kt, 14kt and 18kt. A fusion of alternative precious metals, dazzling diamonds, and the latest jewellery design techniques, this Satin Finish Rope Diamond Grooved Wedding Ring was made for modern brides and grooms. Available as a tungsten ring, cobalt ring or ceramic ring, it features a shimmering gold insert, and a 0.05ct diamond centrepiece to add just a hint of sophisticated sparkle. The insert is offered in white, yellow and rose gold, and 10kt, 14kt and 18kt.